World War One was a trying time for everyone but among the chaos, love still bloomed. Soldiers would write letters back and forth to their sweethearts and wives back home, and some even fell in love during their service. This is what happened to British Captain Harry Oldham, a company Commander of the 9th Battalion North Yorkshire Regiment. Harry was an intelligent, caring, and brave man who had also learned the German language and even used it to save a German troop who had become injured. 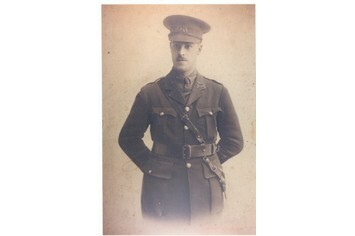 However, during the Battle of Ypres in 1917, Harry himself had also become wounded. In a strange turn of events, just as Harry had previously spared a German troop’s life, his life was also saved by a German soldier. The troop stumbled across the British Captain after he had been laying in a shell hole for a day and a half, and stopped another from beating him with a baton. 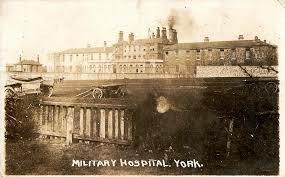 When Harry awoke, he was moving around uncomfortably on an operating table in York military hospital. It was there Heather Orloff, the Irish nurse who would soon become his sweetheart and wife, first saw him. He was unconsciously muttering in German. This prompted her to tell the doctor that she suspected Harry was a German Spy and that they should not help him. Luckily for the two of them, the doctor treated his injuries. Over the time Heather cared for Harry, the two gradually fell in love and married in 1919 after World War One had ended. The two went onto live a very fulfilling life together - having 3 children and immigrating to Canada where they spent the rest of their lives.